Starting on Monday, workers who get injured while going to and from restaurants during lunch breaks will be able to receive compensation for the accident. 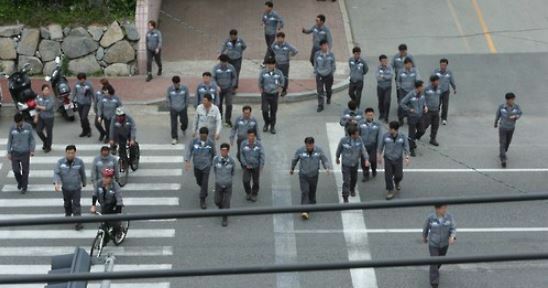 According to the Korea Workers’ Compensation and Welfare Service on Sunday, “industrial accidents” will now include accidents that occur while workers go to, and return from, restaurants outside of the workplace. Current regulations only acknowledged accidents which occur in cafeterias within workplaces or restaurants designated by business owners to be eligible for compensation. It has been pointed out that such rules allow a narrow interpretation of what counts as an accident related to work. Revised regulations will provide compensation for workers who get into an accident while moving within a “socially acceptable” distance during lunch hours.